Christmas stories have been an important part of our family’s celebration of the holidays for the past two decades. Some of these are stories I read and reread as a child and have now had the privilege to read as a mother as well; others are stories we discovered when our children were younger and have continued to enjoy together over the years. Any or all of these are worth finding and sharing with your own children or grandchildren. May you take time this Christmas to have some quiet moments as family with nothing more than some good books and one another’s company, making memories that cost little but will last a lifetime. And when Christmas Day dawns, don’t forget to read the Story of Stories found in Luke 2 and Matthew 2 about the shepherds, angels, wise men, two humble servants of God, and a Baby that would change the world. Here’s my list, in no particular order. If the same version or a similar version of the book is still available whether new or used, I have linked the cover image to be able to purchase it at CBD or Amazon (with the exception of the one we carry, in which case I link to us!). If a book is unavailable at the moment or the used price was showing up as more than $20, rolling over the cover image will pop up a tool tip that says OOP. You may still be able to find the OOP selections at your local library, through inter-library loan, on other used book sites, or in the library of a friend. 1. 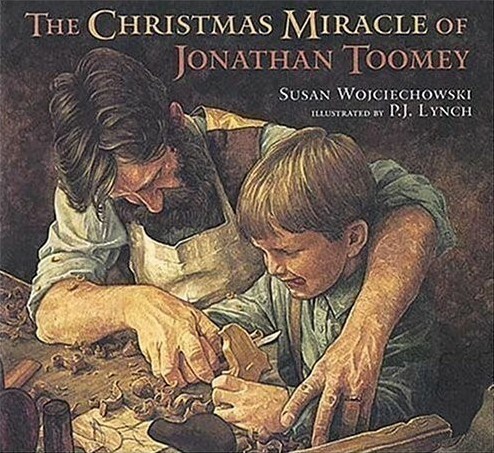 The Christmas Miracle of Jonathan Toomey written by Susan Wojciechowski and illustrated by P.J. Lynch, copyright 1995. Beautiful illustrations and a story both boys and girls will love about a gruff woodcarver and the widow woman and her son who finally win his heart. 2. 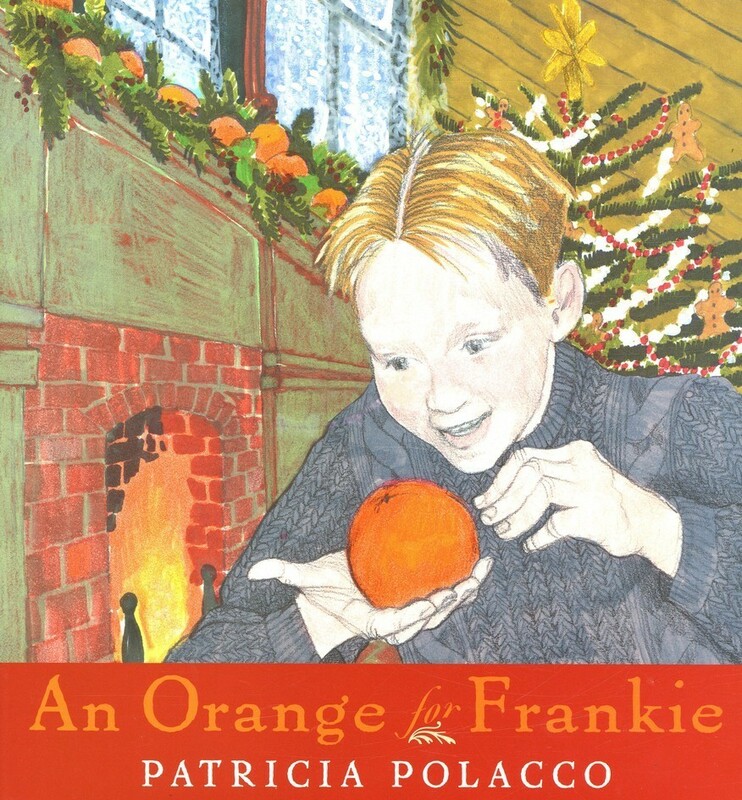 An Orange for Frankie written and illustrated by Patricia Polacco, copyright 2004. Large families will particularly enjoy this story about a boy who was one of nine siblings. A great story for reminding children that at its heart Christmas is about Christ, family, special traditions, and sharing what we have with others. 3. 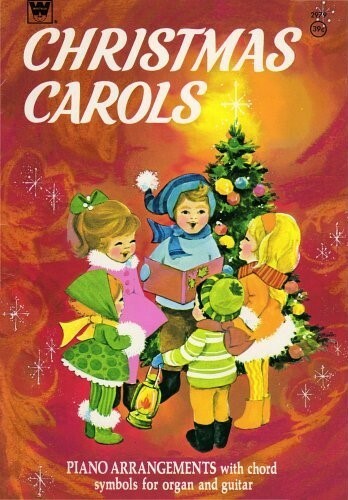 Christmas Carols selected and arranged by Karl Schulte, copyright 1957. While not a read-aloud, it includes the words and simple piano scores for the kind of music our children and grandchildren need to have tucked away in their hearts and minds. I like this particular collection because it offers only a couple songs that are more modern (Jingle Bells, for example), while featuring mostly traditional Christmas hymns of the faith: Away in a Manger, Silent Night, What Child is This?, Joy to the World, I Heard the Bells, and more. However, the particular collection is not so important as that you find ways to make meaningful Christmas music a part of your family’s spiritual heritage. 5. 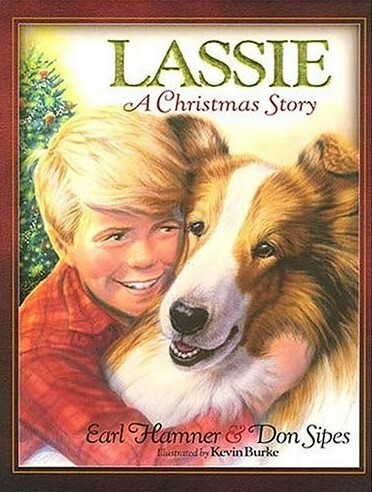 Lassie: A Christmas Story written by Earl Hamner and Don Sipes, illustrated by Kevin Burke, copyright unlisted. I am not particularly a dog lover, but even I enjoy this simple Christmas story about a boy, his family, his dog, and their Christmas adventure! 6. 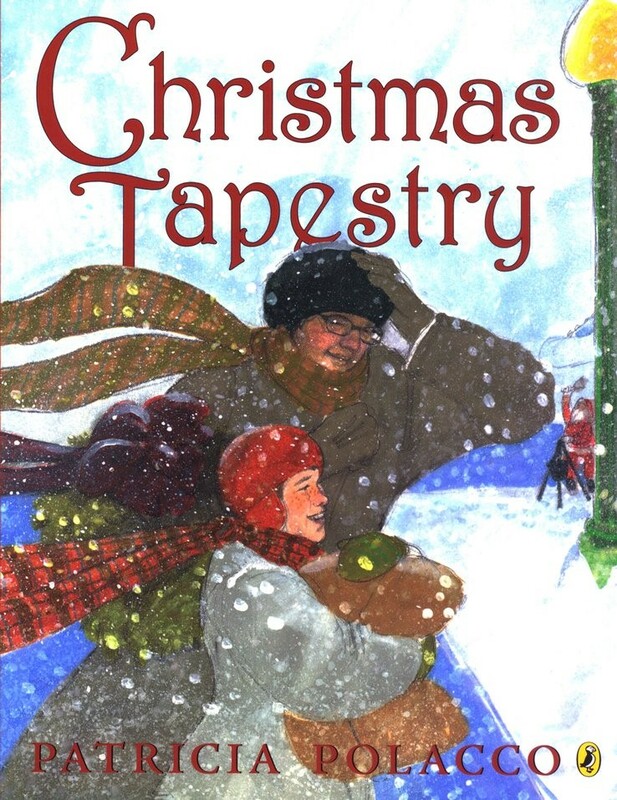 Christmas Tapestry written and illustrated by Patricia Polacco, copyright 2002. I don’t think I’ve ever made it through a read-aloud of this book without crying. Based on a true story, but adapted to take place in the author’s home state of Michigan. Follow a pastor’s family as they move and must begin a work all over. In making new friends they are amazed at the weaving together of time and place and people that only God could orchestrate. 7. 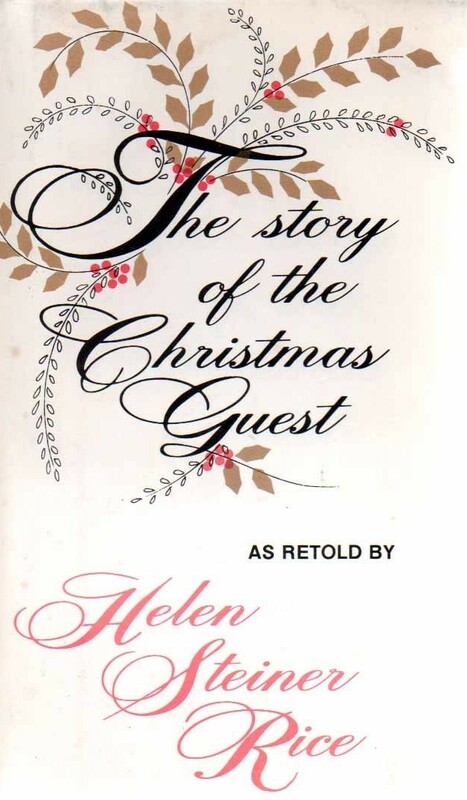 The Christmas Guest as retold by Helen Steiner Rice, name of illustrator not given, copyright 1972. A rhyming narrative about a man named Conrad who waits to meet the Lord on Christmas Day, but the “wrong” visitors keep coming to the door. 8. 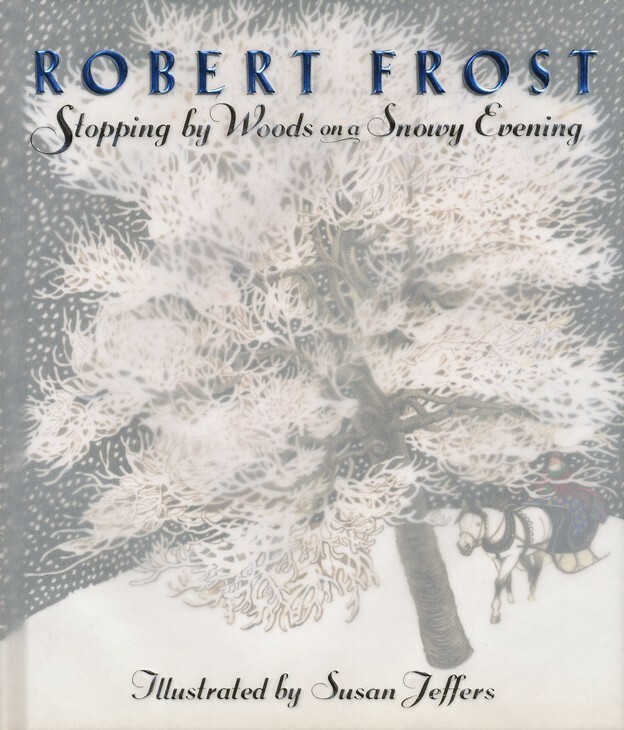 Stopping by Woods on a Snowy Evening written by Robert Frost and illustrated by Susan Jeffers, copyright 1978. 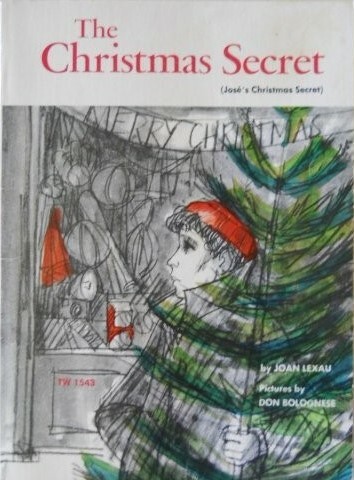 While more of a winter story than a Christmas story, I love the imaginative work the illustrator did to make this well-loved poem into a children’s book. Don’t stop with the one poem though! While you have your children gathered around, make sure to read other favorites from Frost as well as poems from Henry Wadsworth Longfellow, Emily Dickinson, and Robert Louis Stevenson. You can find the others in a good anthology or by searching online. 9. 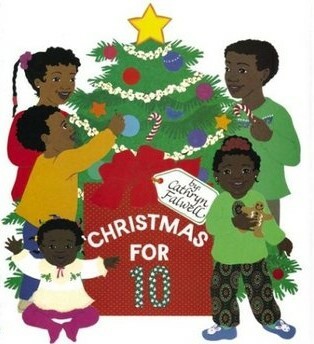 Christmas for 10 written and illustrated by Cathryn Falwell, copyright 1998. This is a simple counting book for younger children, but the real story is told in the colorful, collage-style illustrations. A large, happy family gathers to celebrate Christmas with music, crafts, gifts for others, story time, and old-fashioned hospitality. 10. 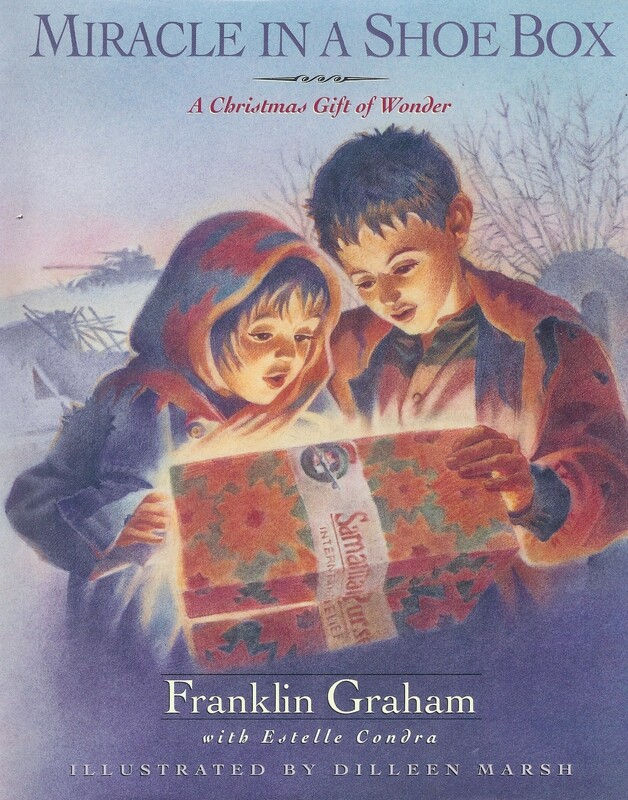 Miracle in a Shoebox: A Christmas Gift of Wonder written by Franklin Graham with Estelle Condra and illustrated by Dilleen Marsh, copyright 1995. The story of a brother and sister in Bosnia who receive shoeboxes through Operation Christmas Child and find the Peace that passes all understanding. If your family is not familiar with this outreach of Samaritan’s Purse, you can learn more about it here. Our family considers shoebox collection week the start of the Christmas season. 11. 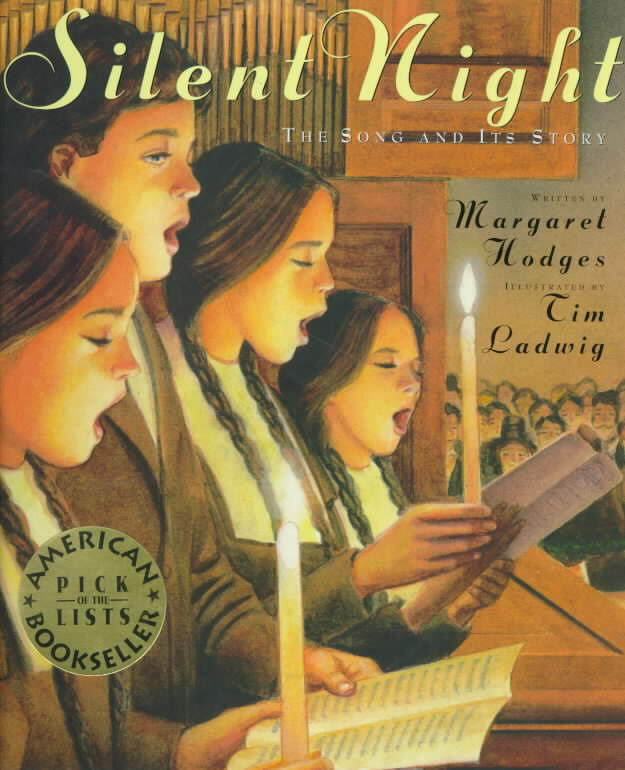 Silent Night: The Song and Its Story written by Margaret Hodges and illustrated by Tim Ladwig, copyright 1997. The true history of how this well-loved Christmas carol came to be written in Austria and known around the world. Accompanied by warm illustrations. 12. 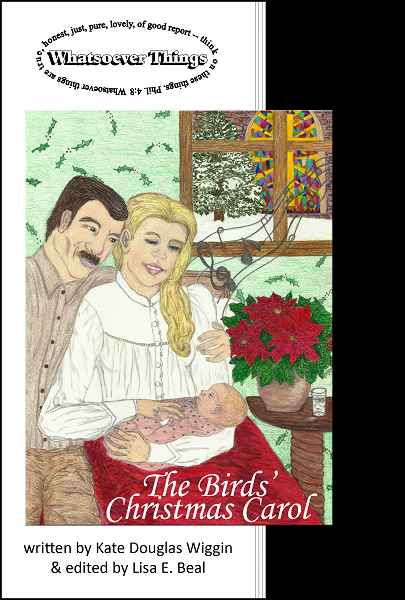 The Birds’ Christmas Carol written by Kate Douglas Wiggin and edited by myself, original work now in the public domain, this edition copyright 2017. Another favorite from my childhood and one of the books outside the Bible that has had a lasting impact on my life. This edition also includes poems and other Christmas stories (such as O. Henry’s The Gift of the Magi) that will touch your heart and encourage your family to look for ways to bless others and to keep Christ at the center of Christmas. #2 Purchase an advent calendar for a few dollars and pair it with some CDs (newly purchased or already owned) of peaceful Christmas music. Enjoy a new song or an old favorite together each morning of December as another advent window is uncovered. On Christmas Day encourage the whole family to sing praises to the King together. This entry was posted in Home and Family on December 12, 2017 by admin.